The October Edit - The Latest Bride & Groom Direct Picks! The October Edit – The Latest Bride & Groom Direct Picks! This pretty vintage themed design is hand finished by our team with crystals. This Lucy designs comes in three different colours – silver, navy and pink. Matching items include – evening invite, order of service, RSVP card and menu. 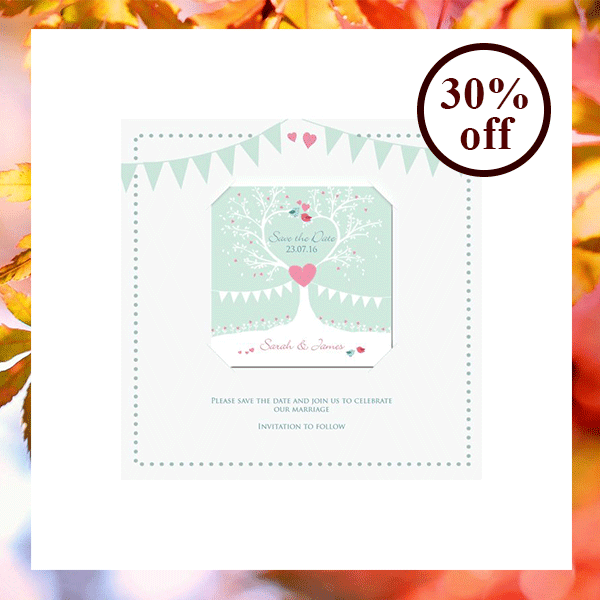 Announce your wedding date with this cute Tree of Hearts Save the Date magnet. Your names will feature at the bottom of the magnet at the base of the tree. 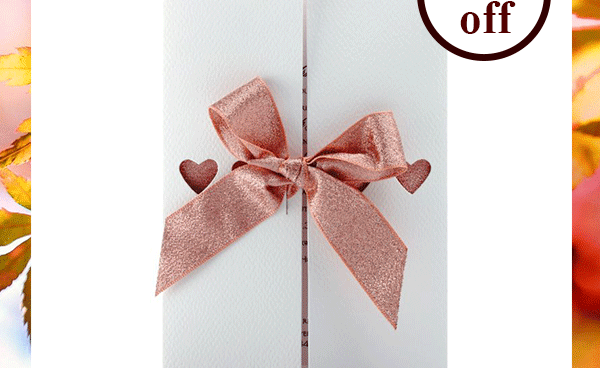 These gorgeous Rose Gold Ribbons invitation are part of our exclusive luxury collection. 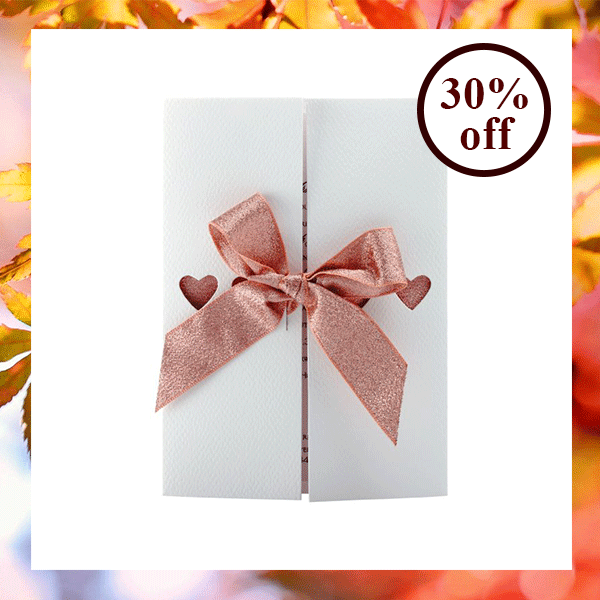 Each invitation features stunning cut out hearts with a beautiful shimmering style ribbon. Adding sophistication and glamour. The gorgeous Flutterby Invitation is hand finished by our team with gems and matching ribbon. 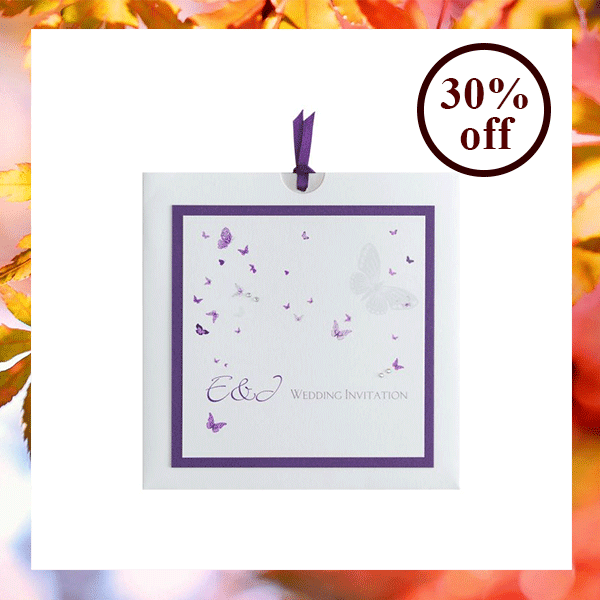 This beautiful pocket invitation features sweet butterflies flying around your initials. Order of Service booklets are a perfect way for your guests to follow your wedding ceremony. Personalise the front of this handmade card with your names and wedding date. The inside will feature your ceremony hymns and details. Matching order of service cards from our Knot range of stationery. 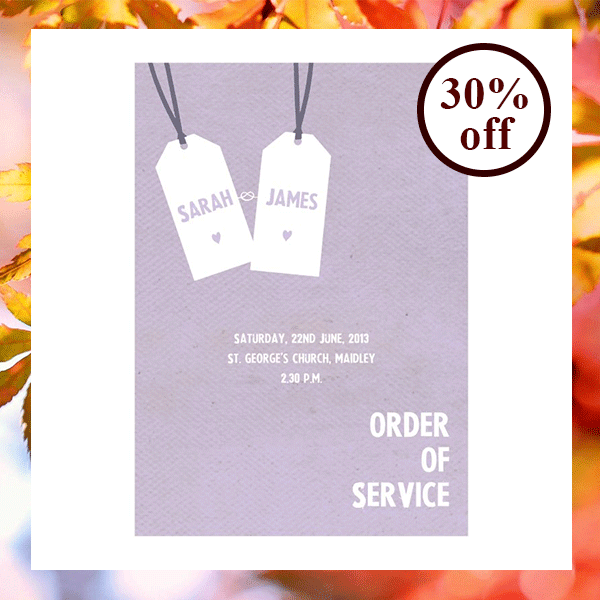 Personalise your order of service with your names and wedding details. The inside of the cards feature your ceremony details. Want more order of service inspiration? Check out our latest Pinterest board here!